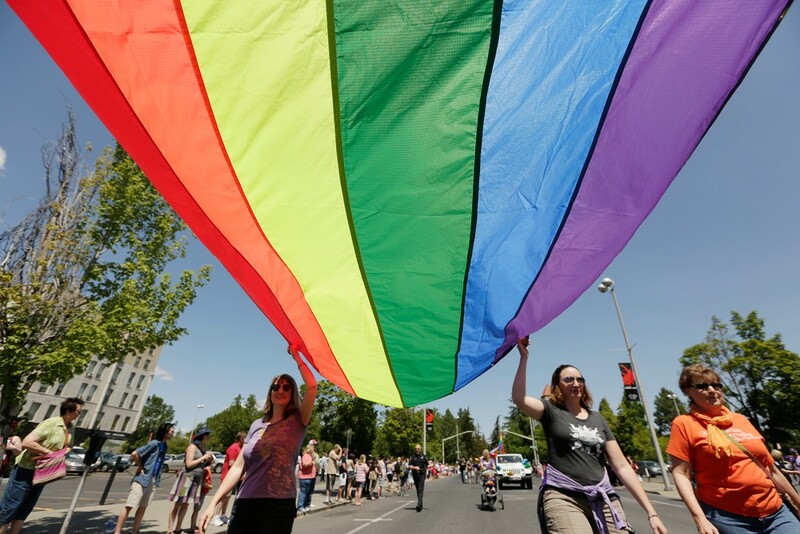 The annual PRIDE Parade and Rainbow Festival is on Saturday. Hopefully many of you got out over the weekend to Volume, First Friday, Art Fest or the myriad other options. Let's keep up the momentum, people! Check out our event listings and Staff Picks —there's more fun to be had in the week ahead. WORDS | Authors Tim and Becky Hattenburg drop by the Shadle Library at 6:30 pm to discuss their book Death Ride, A Little Boy's Night of Terror. Maybe leave the little ones at home for this free event. MUSIC EVENTS | The sad news of Prince's death inspired an outpouring of love for his Purple Badness around the world. It continues with a Big Dipper dance party celebrating Prince's birthday, featuring tunes spun by DJ DX Pryme and Big Moe. Be ready to get funky. WORDS | Political cartoonist Milt Priggee will chat about Cartooning the Evergreen State at the Argone Library. He's a gem, and it will be an entertaining hour for sure. LIVE BANDS | It's one hell of a folkie double-bill coming to The Bartlett Wednesday night. David Bazan might top the bill, but Laura Gibson is a headliner in her own right. Read our story about her here. THEATER | The Spokane Civic Theatre hosts a wild weekend of one-act plays from regional playwrights starting tonight at the 28th Playwrights' Forum Festival. WORDS | Heading into PRIDE weekend, check out A Queer Poetry Showcase Friday night featuring Ebo Barton, Tobi Hill Meyer, Elissa Ball and Tara Hardy at the Westminster Congregational United Church of Christ. FILM | Check out some of the work from EWU's finest film students at The Best of EWU Film, a screening event at the Bing starting at 7:30 pm. COMMUNITY | It's a Saturday morning party at Riverfront Park, thanks to the annual PRIDE Parad and Rainbow Festival. Join your friends for an art show, beer garden, kids activities and more.